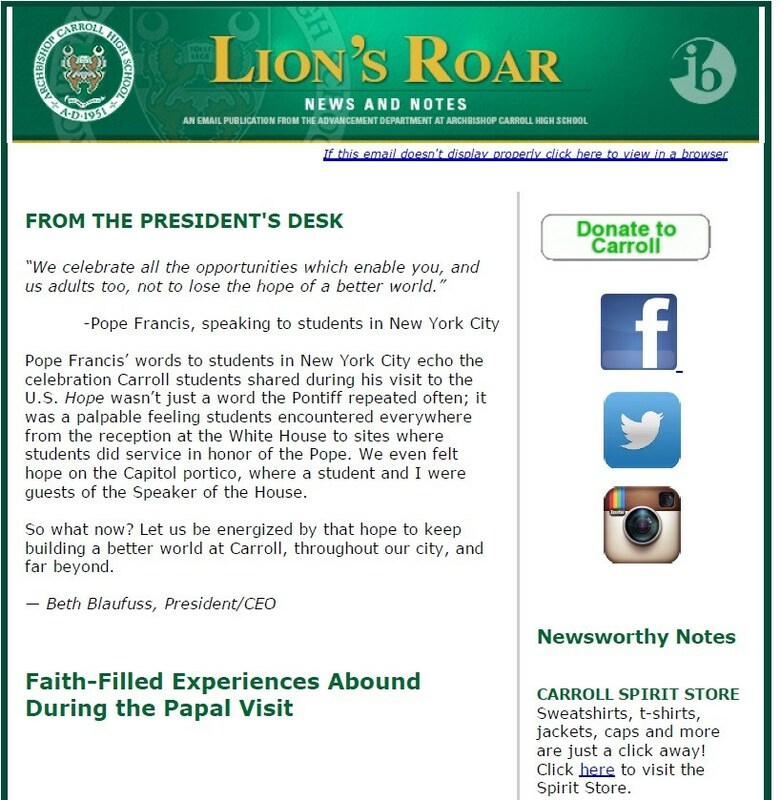 The Lion's Roar, our monthly online newsletter, keeps our donors, alumni and friends up to date on events, accomplishments, school successes, alumni activities and general Carroll community news. Click here to view the latest issue of the Lion's Roar. Click here to subscribe to the Lion's Roar.